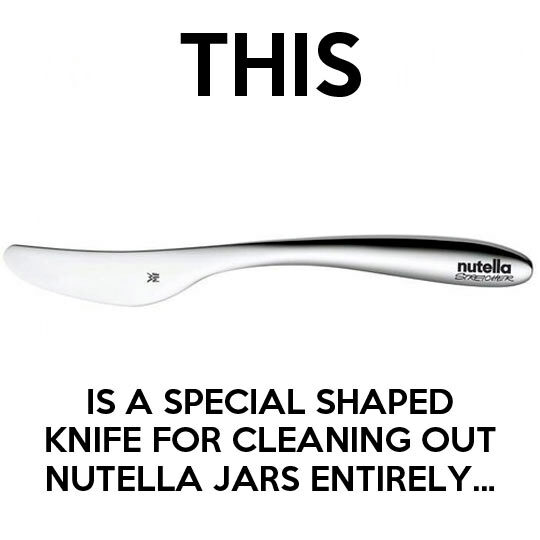 Nutella Spreader or Knife Spreader? It is a ultimate sandwich knife and more. With 5-inch serrated spreader blade that will spread as well as cut where needed. It’s made of stamped high-carbon steel with a stainless alloy coating (I wouldn’t put it in the dishwasher). It is 10 by 2 inches with a plastic handle. It’s made by Germans and lasers, like Kraftwerk!